Rod has over 30 years’ experience in tertiary education, developing expert knowledge of policy, federal and state responsibilities, governance, institutional operations, management and regulation. 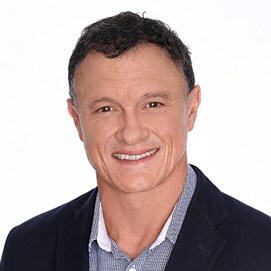 Rod has been leading significant organisational change for much of his career and possesses a unique range of experience as chief executive officer (CEO) of government agencies, statutory bodies, government-owned corporations, the National Centre for Vocational Research (NCVER) and private sector organisations. Rod engages on complex policy issues and has expertise in leadership, strategy, policy, change management and in facilitating innovation and opportunity through organisational design. Rod applies data analytics and interpretation to policy challenges in public administration, tertiary education, industry skills development, vocational education and training (VET) in schools and international education. Provided high-level advice on further developing international education and leading international government and industry delegations to potential markets; and worked in reforming VET in schools arrangements and in regulatory reform. Prior to joining Nous Rod was a member of the national CEOs’ committee, reporting to COAG ministers; and has worked with the OECD, UNESCO, the G20 Human Capital Taskforce and a broad range of economic reform bodies, boards and reform councils. He has operated his own consultancy business and has worked on high-level projects relating to the National Training Framework, employment services and apprenticeships. Rod holds an Executive Master of Public Administration, a Diploma and Fellowship from the Australian Institute of Company Directors, a Bachelor of Business (human resource management) and an Advanced Diploma of Management (industrial relations).